Our vodka is triple distilled, 100% pure grain AND charcoal filtered! That’s a Vladi marvellous combination that makes it taste super smooth. 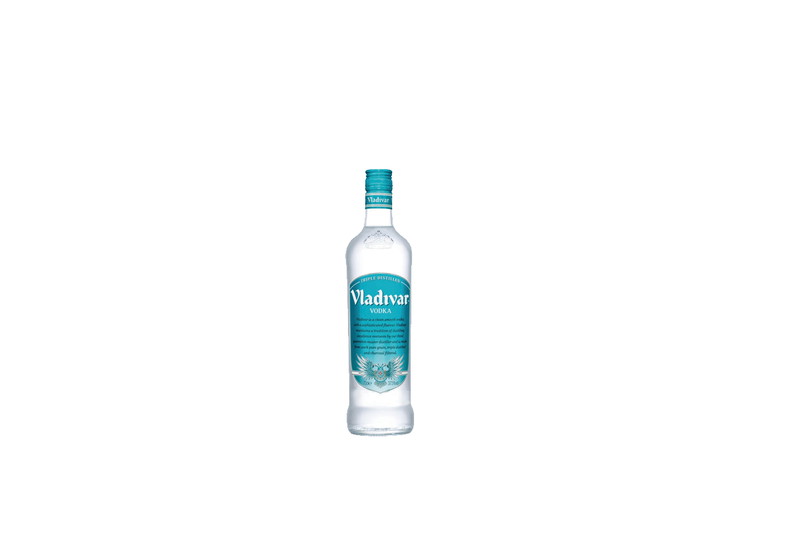 Our Vladivar Flavours have the same spirit at heart, but have their own unique fruity style. Our dynamic duo weigh in at a nifty 50cl each with an ABV of 20%. Apple and Pear is scrummy mixed with lemonade and looks glam in green, while many a cocky cocktail has lost a round to Raspberry and Vanilla– it’s super sweet when neat, but packs an even sweeter punch when mixed with cola. Lets get Vladi to Rumble!